That’s another nail in the coffin of my childhood. I can’t say I was a very loyal fan; during Spencer’s original leave of absence I basically forgot about the band, and I didn’t listen to the second or third albums. It was weird when Jon Walker and Ryan Ross left, and I don’t listen to their music when perhaps I should. Ryan Ross was my favorite after all. That was probably a big reason why I stopped listening. Panic! At the Disco’s first album consumed an entire year of my young life, followed me through two more, dropped off the face of my earth, and then came back to me years later in the form of an internet friend telling me that they were listening to the fourth album and that I should give them another listen. He got me to download it. I still credit the band for the first words of the story of some of my best, most intense friendships at an age when I needed them desperately. It’s interesting the way the music produced changed throughout ten years. A lot of it is the physical band shifting I’m sure, but I also feel as though the lyrics get less and less angry, less and less condescending as albums continue to come out. There’s less the tone of “we know better than you” and more empathy towards the subjects of the songs and the listeners. Some of the lyrics from “A Fever You Can’t Sweat Out” are downright misogynistic. And it’s beyond me to say something like “they understand me” or “these songs were made for me” but the overall tone follows the shifts in my attitude and worldviews. 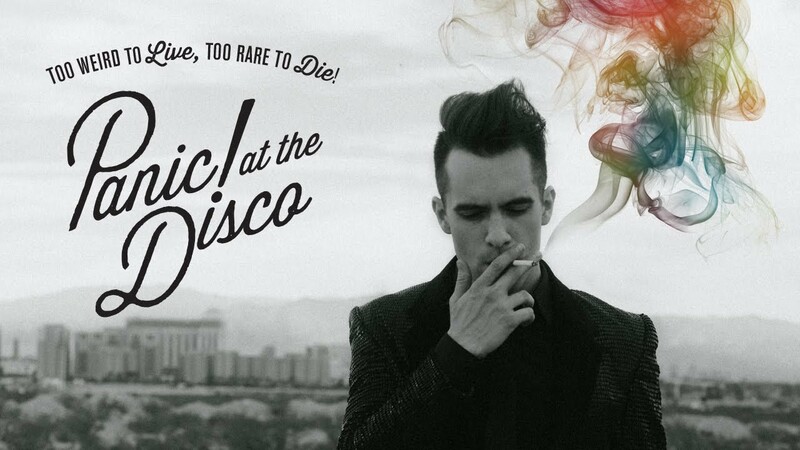 Apparently the fourth album takes elements from hip-hop, which is something I would never have expected from 2005-era P!ATD. I guess it’s for the best that this ends though. I have a lot of great and terrible and cringe-worthy memories attached to this band, and most of it is better left in my memories, and perhaps forgotten. I’m glad Spencer is doing what makes sense for him, and I wish him the best. I hope Brendon keeps making music, and I don’t think he should use the P!ATD name, and I don’t know if I can promise I’ll listen to it.